Philippe Barbarin, the Archbishop of Lyon, has been handed a six month suspended prison sentence for failing to act on sexual abuse allegations in the Catholic church. A French court convicted him on Thursday of failing to report allegations of sexual abuse of boy scouts that took place in his diocese in the 1980s and early 1990s, by a priest who is due to go on trial later this year. The cardinal was Archbishop of Lyon since 2002. The 68-year-old had always denied the allegations. “I never sought to hide, even less to cover up these horrible acts,” Cardinal Barbarin said at his trial. The alleged victims of Father Bernard Preynat, who has admitted sexual abuse of underage boys in the 1980s and 1990s, believe Church officials knew of the abuse as early as 1990 when Preynat was moved to a different parish. 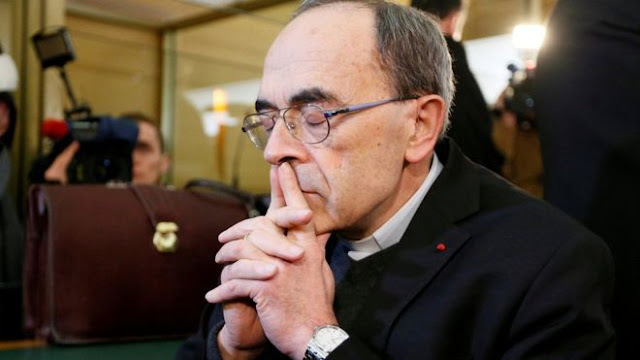 Barbarin has been condemned for taking months in 2015 to follow a Vatican directive to remove Preynat from any duties which would put him in contact with children. The prosecutor had not sought punishment for the cardinal or the five other church officials accused alongside him. The court did not find them guilty. However, the verdict in Barbarin’s case was incriminating. “Philippe Barbarin made the conscious choice, to preserve the institution to which he belonged, to not pass on (information) to the legal authorities,” AFP reported the judgment as saying. The court found that “by wanting to avoid scandal”, the cardinal had risked preventing many other cases of abuse from being revealed, to the detriment of the victims. Lawyers for Barbarin have said they intend to appeal against the conviction.